Improves radiance and skin tone. Provides a non-irritating, hydrating base. Suitable for all skin types, especially those with dry, dull or dehydrated skin. Twice daily, apply 4-6 drops to face, neck, and chest. Aqua/Water/EAU, Hydroxyethyl Urea, Hydroxyethypiperazine Ethane Sulfonic Acid, Pentylene Glycol, Saccharomyces/Xylinum/Black Tea Ferment, Glycerin, Sodium Hyaluronate, Methylparaben, Phenoxyethanol. I have very healthy skin with very few breakouts but I had been experiencing them recently. I have been using this product for a week or 2 and the results seem encouraging. The only downer is the product is a bit sticky. I had only been using the Skinseuticals moisturizers and toner when I decided as i turned 50 I needed more. I don't get breakouts, but my skin tends to get oily & felt I need something to make my face look brighter. After receiving a sample of this, I have never been without it. I saw a definite difference after using it just a few days. I use it at night after the toner & before the Night moisturizer. On nights that I get lazy & skip this Activator, I notice a difference when applying makeup the next day. It just seems that when used, the skin is brighter and texture is smoother. I just really like it. I like reading these reviews to help me decide if a product will do what I expect, and this one delivers. I get many compliments on my skin & it is a combination of good products like skinseuticals and a healthy lifestyle. This product makes your skin moist and smoother. The exfoliation is gentle but effective. Perfect for very sensitive skin. Only drawback is that it is sticky when your face is on the pillow. I am willing to put up with that for the benefit of more radiant skin. Too heavy for daytime use. This is one of my have to have go to products. I ran out for a bit and my skin looked dull. Love it! I've been using this for about a week now and I've seen results from day 1. My skin complexion color looks much more even. Skin texture is improving as well. No dry spots. I haven't found a company as good as SkinCeuticals. Thank you. I love this product as one of my favorites. I thought I may be have been sorry about ordering this; I took a chance and am glad. I really like it as an alternative to the SC Renew Overnight creams. I use this and then apply SC firming cream or AGE complex over it. I use SC Serum 15 in the morning. In summer I will probably layer this over the Serum in the morning. 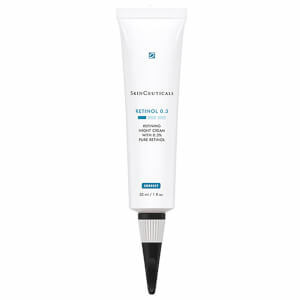 I really love Skinceuticals products. I'm 61 and my skin looks about 20 years younger. I have been using this product for about 4 weeks and so far I am loving the results. My skin is smoother have had a few small break outs but I was expecting it also noticing fine lines are less noticable. It's easy to use and non greasy. I love all of Skin Ceutical Products!! 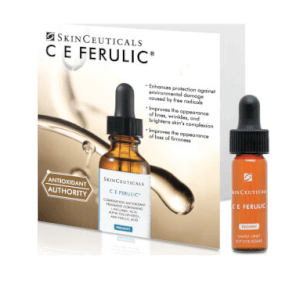 I've been using CE Ferulic for over 10 years and just added Retexturing Activator to my skin-care regimen. Since I have sensitive skin and rosacea, I started with using it at bedtime only. After only five days I've already noticed some stubborn discoloration spots are fading and my skin looks even brighter (the CE Ferulic is also a brightener). I have high hopes for being a long-term user of this product also. 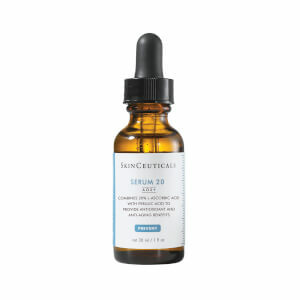 I was really looking forward to my latest Skinceutical purchase which inlcuded the Retexturing Activator and CE Ferulic. Well, ever since I have been using the two product I have had raised bumps on my face. I am not doing anything else different, so, it must be the products - I even stuck with it for 2 weeks to see if it would go away and it wouldnt'. In fact, I stopped using them both more than a week ago and still have the bumps on my face. I think i will need to go to the derm to figure out how to get rid of them. Have used Skinceutical products in past and been really happy with them. This is an excellent product for people who cannot tolerate Retinol well. It works like a Glycolic acid to rid the skins surface of dead skin cells to reveal polished new skin just like a Retinol cream would do, but in my opinion with much less irritation. This also like Retinol helps stimulate the under layers of the skin to produce collagen.This is excellent for helping lighten freckles and sundamage or for just wanting a polished radiant appearance without retinol. This formula is also very hydrating since it has hyalaronic acid. 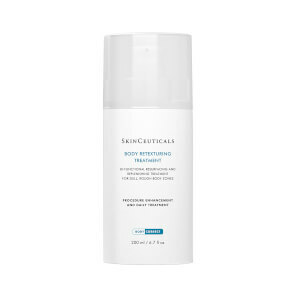 You can use the Retexturing Activator as a replacement to the B5 complex when used with CE Ferulic or Phloretin CF.